Fifty years ago today (September 11), Carol Burnett broke through the variety comedy glass ceiling to become a superstar with one of the greatest television shows of all time, The Carol Burnett Show. In honor of Ms. Burnett's historic achievement and her ongoing legacy, MeTV presents "Carol Burnett's Golden Anniversary," a special week-long tribute event. Each weeknight beginning tonight (Monday, September 11) through Friday, September 15, MeTV will air an episode featuring a different iconic character or skit that helped define the future of sketch comedy. Episodes will air at 11:00pm ET/PT. 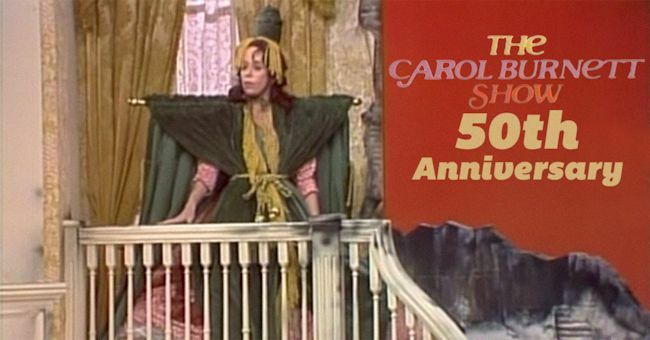 The "Carol Burnett's Golden Anniversary" schedule and episode line-up is as follows. All episodes air in their regularly scheduled time periods at 11:00pm ET/PT. My, those draperies look fetching. Carol and the gang parody the classic film Gone with the Wind with Carol playing Scarlet O'Hara in "Went with the Wind." Carol's sweet niece visits only to discover she's possessed in this parody of The Exorcist in the recurring sketch "As the Stomach Turns." Mr. Tudball (Tim Conway) tries to teach Mrs. Wiggins (Carol Burnett) how to use the intercom. Eunice, Ed, and Mama play the game "Sorry!" in "In the Family," the sketch that gave birth to the successful spin-off Mama's Family. In "Nora Desmond," Carol plays a washed-up silent film star doing a bug spray commercial. 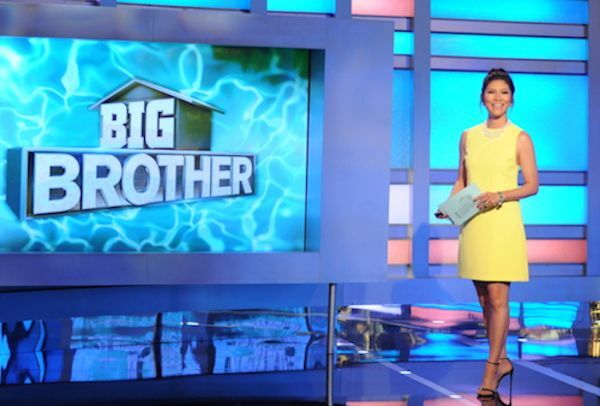 CBS announced it will broadcast its first celebrity edition of reality hit Big Brother. The special winter edition will feature multiple episodes per week during a concentrated run and include the series' signature Head of Household and Power of Veto competitions and live evictions. Julie Chen will host. CBS All Access, the CBS Television Network's subscription video on demand and live-streaming service, will again share all the action from inside the house with its 24/7 live feed. Also, Pop TV will provide fans the exclusive live television broadcast of Big Brother After Dark, an unfiltered late-night feed from inside the house. Additional details regarding scheduling and casting will be announced at a later date. The celebrity edition of the series is in addition to Big Brother's milestone 20th season that will be broadcast in summer 2018.